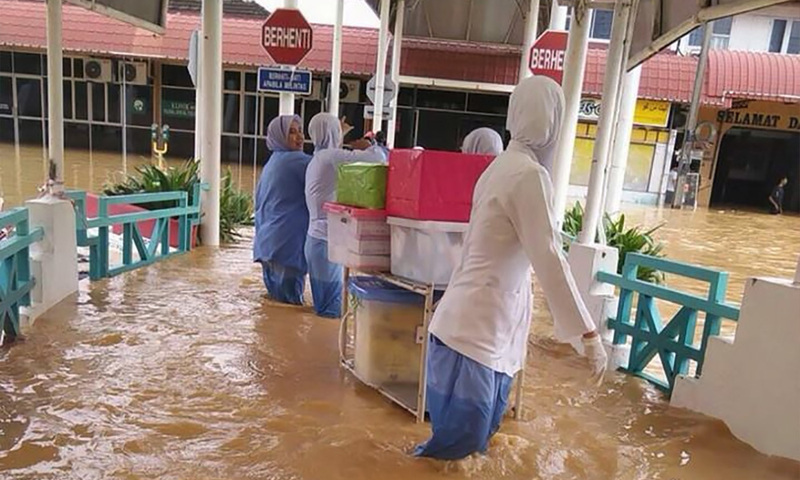 The Kelantan Health Department has identified clinics and hospitals with risk of being affected by the flood as a precautionary measure with the approaching monsoon season. State Health director Dr Zaini Hussin said it was carried out as part of the department’s standard operating procedures to ensure its services would not be affected by the floods. "Among the flood-risk locations are Kuala Krai, Gua Musang, Pasir Puteh and Pasir Mas. Operation of health centres in the affected locations will be shifted elsewhere if they are affected by the floods,” he told reporters after the opening of the state-level World Hepatitis Day at the National Youth Skills Institute in Tanah Merah today. Zaini said the department had also instructed all the 14,211 staff in the state, including the district health officers, to be on stand-by and make the necessary preparations in terms of logistic, as well as identify patients staying in flood-prone areas. He said several simulation exercises had also been conducted with the cooperation of various agencies. “We will also freeze the leave of staff, if there is a need arises,” he added.